Gasper Trama Jr. began teaching motorcycle training in the New York City metropolitan area in 1966. Having been involved in motorcycling and automobile driver education for several years, Gasper believed that a training program for beginning motorcycle riders should exist. He also clearly saw the importance of on-street training in a metropolitan environment, thus becoming probably one of the first in the nation to implement such a program. 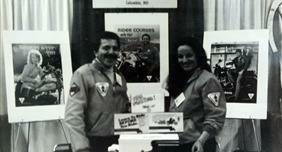 In 1973, the National Motorcycle Safety Foundation (MSF) was established. When a quality curriculum became available, Gasper became one of the first sites in New York State to offer the program.​ Gasper’s site is the oldest established site in New York currently offering MSF courses becoming part of the MSF Rider Education Recognition Program in 1982. Gasper Became an MSF certified Instructor in November of 1983 placing him as one of the senior Instructors in the state. Our Instructors are MSF certified, highly skilled and have years of experience. Most of all, they love motorcycles and care about teaching you. Whether it’s our quick, quality, friendly service or the honesty and value we bring to every interaction, our customers love us. 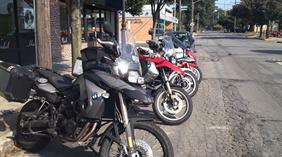 We were the first Motorcycle Training School in NYS to adopt the MSF curriculum. Don’t risk getting hurt or damaging your bike by getting on it with out proper training.